The three epistles of John were likely written from Ephesus between A.D. 80 and 85. This would make them among the last New Testament books to be written. The recipients of these letters were likely members of regional churches associated with the church in Ephesus, which itself was under the leadership of the Apostle John. The recipients of the first epistle of John were apparently dealing with a situation caused by a group of people who had separated from the Ephesian church and who were now teaching false doctrine. Their continued contact with the members of the churches was causing problems, and John writes to address these problems. There are a number of helpful commentaries on the Epistles of John, and the following are five of the best. 1. Colin Kruse — The Letters of John (Pillar New Testament Commentary, 2000). The Pillar New Testament Commentaries edited by D.A. Carson are consistently excellent works. Colin Kruse’s commentary is no exception. He has done extensive work in the Johannine literature and written a commentary on the Gospel of John for the Tyndale series. 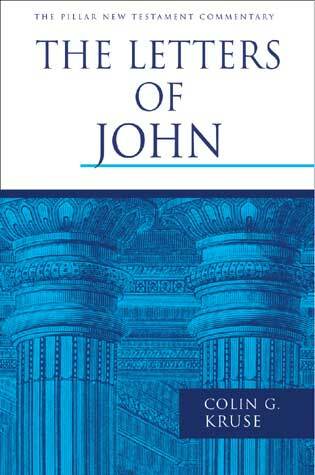 This work on the Epistles of John is thorough and accessible. It should be on the desk of every pastor and teacher. 2. 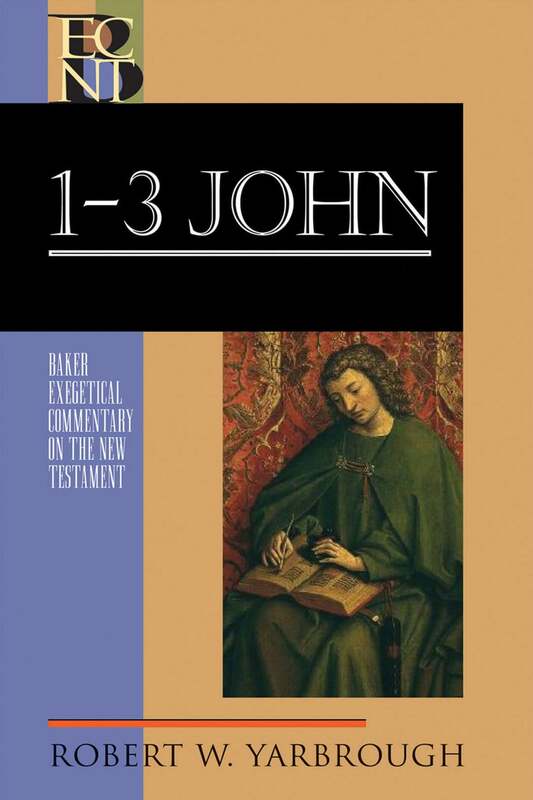 Robert W. Yarbrough — 1-3 John (Baker Exegetical Commentary on the New Testament, 2008). Like the Pillar series, the Baker Exegetical series of commentaries have also been consistently outstanding. Yarbrough, like Kruse, is an accessible author. 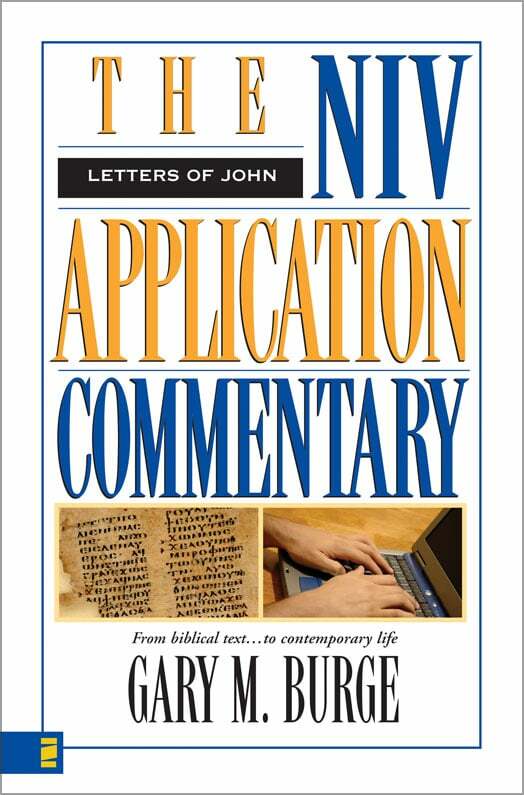 If you can get two commentaries on John’s letters, start here with Kruse and Yarbrough. 3. 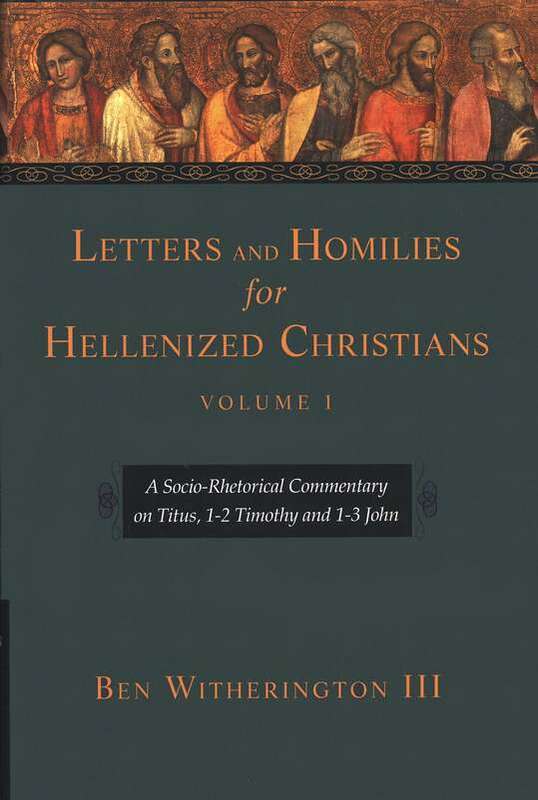 Ben Witherington III — Letters And Homilies for Hellenized Christians, Vol. 1 (2006). Ben Witherington has written a number of what he calls “socio-rhetorical” commentaries on many of the New Testament books. These works provide very helpful contextual information. Recently, Witherington completed three “socio-rhetorical” volumes that cover the Pastoral Epistles, the book of Hebrews, and the General Epistles. Two of the volumes are titled Letters and Homilies for Hellenized Christians, and one is titled Letters and Homilies for Jewish Christians. The first volume includes his commentary on the Epistles of John. It is a helpful work that should be consulted by those doing in-depth study of these letters. 4. 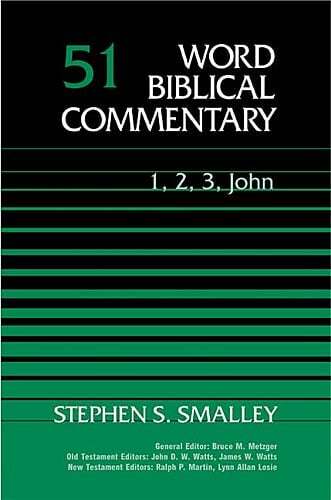 Stephen S. Smaley — 1, 2, 3 John (Word Biblical Commentary, 1984). Stephen S. Smalley has written a number of books on the works of John. His commentary on the Epistles of John is a valuable contribution to the literature. Although the WBC series is not the most reader-friendly series, it is worth the effort in this instance. 5. Gary M. Burge — Letters of John (NIV Application Commentary, 1996). Pastors, Bible Study leaders, and other teachers will find Burge’s commentary in the NIVAC series a helpful tool, particularly as they seek insight on how to apply the timeless truth of God’s Word in these letters to the contemporary context in which we live. There are a number of other helpful commentaries on the Epistles of John. Among them are the commentaries by F.F. Bruce, I. Howard Marshall, Michael Eaton, David Jackman, Tom Thatcher, Daniel Akin, and James Boice. There are also some helpful commentaries that cover only 1 John. Two classics on 1 John are the works by Robert Candlish and Martyn Lloyd-Jones.